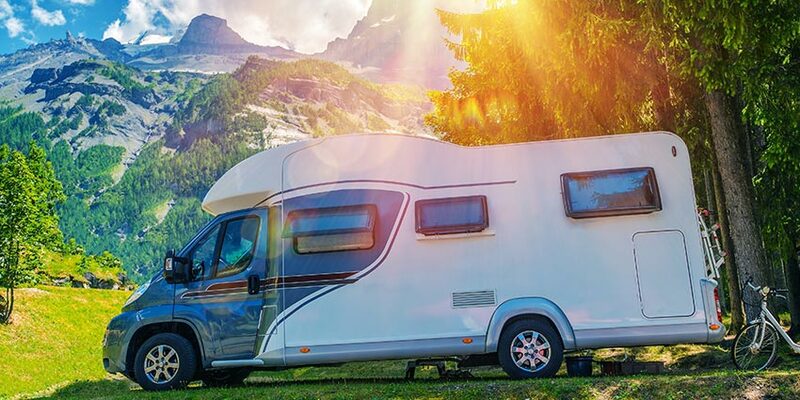 When deciding on what type of recreational vehicle is right for you, it is easy to become overwhelmed with all of the many options and classes available. The trick is to do thorough research, understand your budget, and have a good idea of where you plan on traveling and who will be traveling with you. In this article we outline the different classes and types of RVs and motorhomes that are available to you. Beyond categorize the different types, we also weigh the pros and cons of each option to make it easy as possible for you to make an educated decision on the type of RV that’s right for you and your family. There is nothing more enjoyable than the excitement of RV camping, but not every enthusiast has the same needs or goals. It’s important to select a vehicle that fits your expectations and your budget. 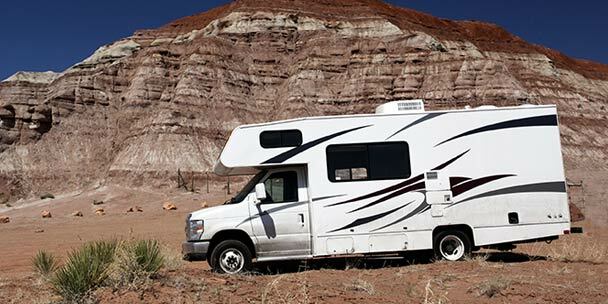 Motorhomes have several advantages over the travel trailer styles of RVs. They are usually completely self-contained, easier to set up at the camp sites and have room for your passengers to move about while on the road. Class A motorhomes are the largest and most expensive RVs on the road, and they are preferred by the more dedicated travelers. Variants include converted busses and purpose built models. The drivelines can be set up as pusher or a puller configurations and powered by either a diesel or gasoline engines. While some of these may be as long as 45 feet, no special CDL license is required to legally operate one. These motorhomes offer their owners the most interior space and available features. Some are equipped with slide-out sections that expand the living quarters, and it is common to have a separate master bedroom suite. The list of features, amenities and appliances are endless. Common perks include a laundry machine and drier, ice makers, full bath and shower facilities, and robust home entertainment systems. They also have plenty of basement storage for cargo. Campers can stock their RVs with enough supplies to stay on the road indefinitely. While these are great options for both quick weekend getaways and full-time camping, they are expensive, and their size is intimidating for many. Some narrow roads simply cannot be accessed. Maneuvering these vehicles through twisty mountain passes can be a hazardous and parking in restrictive camping sites may prove to be a hassle. After arriving and setting up, it is difficult to leave again to run simple errands, and many choose to tow along a separate smaller vehicle to overcome this concern. 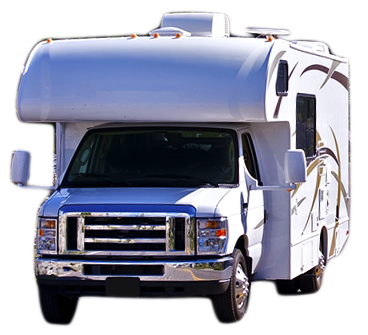 In addition to the initial expense of the RV, the costs of repairs, insurance and fuel are also the highest of any other motorhome. While these may be impractical for many, they are an excellent option for long haul travel. They are increasingly popular with retirees and those interested in living on the road full time. This class is often referred to as the camper van, and it includes many of the smaller vehicles that barely even qualify to be considered motorhomes. They are typically built on a standard full-sized van chassis and feature a raised roof to facilitate walking upright. Like the class A, it is possible to find both diesel and gasoline powered variations. These basic travel campers provide their owners with comfortable sleeping quarters and all of the necessities of life. Due to their small size, they are the easiest to drive, maneuver and store. It is also possible to take one of these on quick day trips or to run errands. They can comfortably accommodate one or two travelers, and are usually fully self-contained. Campers enjoy access to a refrigerator, sink, hot water, showers, toilets, air conditioning and heating. While still initially expensive to purchase, they are much more economical to operate. Interior space on these versions is often cramped. If more than a two people are going to be using it, the tight quarters can quickly become uncomfortable. 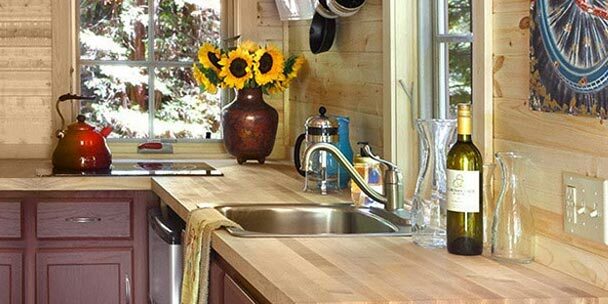 The sizes of the appliances are also much smaller than most are used to. There is no space for luxuries like laundry facilities or full sized entertainment systems, and they do not have the cargo capacity to carry many supplies. Single travelers or those without children benefit from the affordability and convenience of this type of motorhome. They are also popular with those who are still working and only have time for the occasional trip. These are midsized RVs that range from 20 to 33 feet. They are built on top of existing truck and van chassis and are usually intended for families or larger groups that need to vacation on a more limited budget. These will have many of the same advantages and considerations as the class A, but at a lower overall cost. These versions offer a more living space than the confining class B motorhomes and many of the same amenities of the class A. They will usually have toilet and shower facilities, an adequate kitchen and plenty of places to sleep. Some of the larger models feature a master bedroom suite in the rear while others forgo this option in favor of a more maneuverable profile. Couches and tables convert into beds and the overhead compartment above the cab can be used for storage or additional sleeping quarters. Due to the compartmental design of the cab, it is easy to gain access through the side doors. 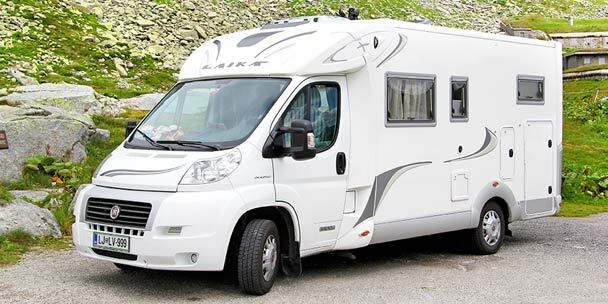 The class C motorhomes can be every bit as challenging to drive as the class A, but they are usually more easy to manage in restricted camp sites. Travelers often tow a separate vehicle for excursions and errands. The fuel costs are slightly better, as is the maintenance and insurance; however, these are still fairly expensive to operate compared to the class B. These are excellent options for families with children or for those on a limited budget. 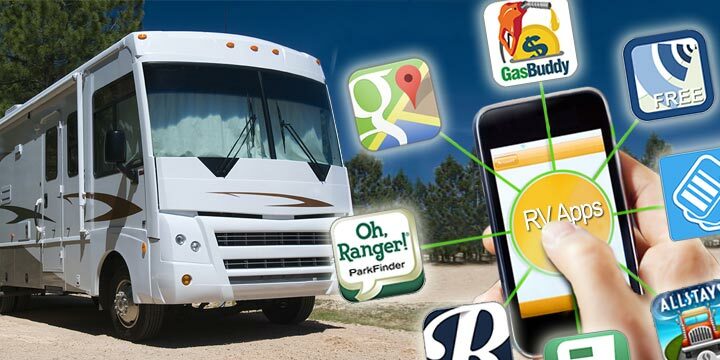 They provide all of the fundamental aspects of travel and RV camping that enthusiasts enjoy. When selecting which type of RV is best for you, it is important to carefully balance its capabilities and costs with your needs and goals. 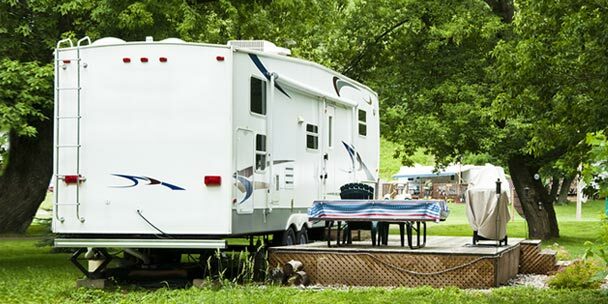 Towable RVs offer many advantages over the full sized motorhomes. They are less expensive initially, more reliable, and they provide the convenience of a detachable vehicle that can be used to explore an area or run errands. A serious enthusiast will consider the variety of options available on the market before making a decision. These are large portable containers filled with living spaces and all of the conveniences of home. They are constructed on top of a standard trailer frame and are equipped with a number of amenities. Trailers can be kept simple, or filled with every luxury imaginable. They may have their own water supplies, kitchens, bathrooms and small refrigerators. Sizes can vary dramatically, and some are outfitted with sections that expand to provide campers with even more interior space to stretch out in. The main advantages of a traditional travel trailer is the variety of towing vehicles that can be used. These RVs connect with a standard ball hitch receiver. They can be pulled with any truck, van or SUV that is rated to the handle the weight capacity. There is no need to purchase a separate vehicle to service any specific requirements. Like all trailers, they can be difficult to maneuver with. It may also be nearly impossible to drive in reverse while it is attached. For those with extended living quarters in the rear, tail swing becomes an issue while driving down the road. 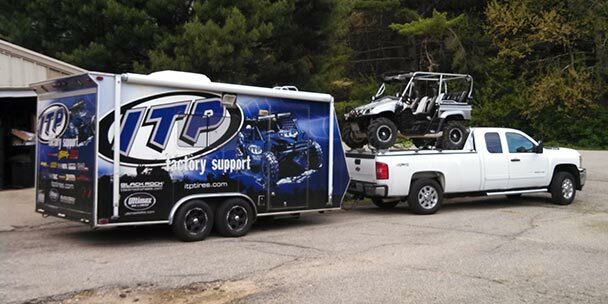 Trailers also need to be level, and the setup and removal of the tow vehicle can become problematic. Depending on the budget, a travel trailer system may work well for small families and fulltime campers alike. The 5th wheel trailers are very similar in many respects to the standard travel trailer with one major exception. They feature a gooseneck connector that attaches to the tow vehicle. This offers a number of advantages and some minor limitations. Towing the vehicle is simpler. The gooseneck extends over the back of the towing truck and connects from the bottom of an overhanging section of the trailer. There is more leverage from the center of the truck to make maneuvers easier. The overhanging section of the trailer also offers additional interior space that is not available in the standard travel trailer. These connections are much stronger and easier to manage than generic ball hitches. 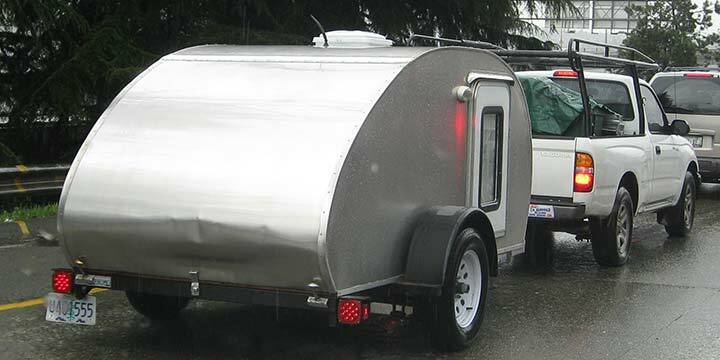 The biggest concern with these trailers is the type of vehicle that must be used for towing. A truck with an open or flat bed is mandatory. This can be a problem for large families as passenger space may be limited. It is illegal for anyone to ride in a vehicle being towed, and cramped quarters in a truck cab over long hauls may become unbearable. These types of vehicles may also be less pleasant for exploring surrounding areas compared to other passengers vans or SUVs. The flexibility, cost and reliability of these styles makes them popular with many serious RV enthusiasts. Folding camping trailers are some of the smallest towable RVs available. They feature collapsible compartments that reduce their external profiles and makes them easy to store when not in use. Some are built with hard composite walls that fold down and others are constructed out of durable tent canvas. These trailers are great for the occasional camping adventure. They are light weight and easily maneuverable. There are more options for towing vehicles as well. Small trucks, station wagons and full sized sedans equipped with appropriate ball hitch receivers can be used to haul some of these RVs. They offer the bare essentials of survival and make general camping much more comfortable. Due to the nature of these designs, it is difficult to store anything in them. Supplies and equipment must be carried separately. The folding joints and canvas sections are prone to wearing out and may eventually develop leaks. Tent style trailers expose campers to more of the elements. Other basic necessities, like toilets and kitchen facilities, are often minimal or absent entirely. These RVs make great part time camping vehicles, and they offer an excellent platform for beginners. 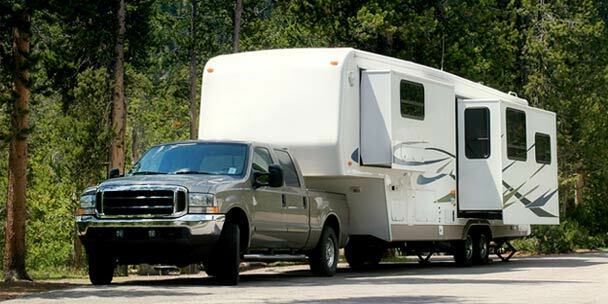 These combine the features of a travel RV trailer and sport utility trailer. They are perfect for those that wish to bring their ATVs, dirt bikes, or snow mobiles camping with them. The rear compartment is used for storing sports vehicles and features a folding wall that doubles as a loading ramp. Forward compartments are set up with living spaces for campers. Outdoor enthusiasts that want to participate in motorsports while still camping comfortably prefer these types of towable RVs. 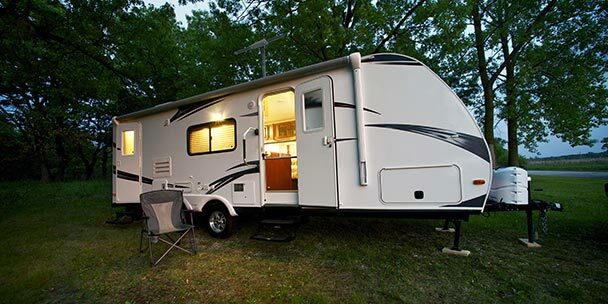 They offer many of the same basic features as the more expensive travel trailers, and campers enjoy having their portable garage space for all of their small vehicles, tools and gear. The main disadvantage of these trailers is the limited living quarters inside. 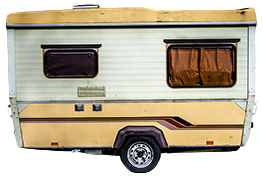 While it may be necessary to tow a full sized trailer, only a portion of that interior space is actually beneficial for the campers. Some may not enjoy being in such close proximity to motorized equipment and supplies. Oil, fuel and other chemicals may create odors and other environmental hazards. A sport utility RV trailer is a great trade-off for active outdoor enthusiasts. They offer plenty of the basic essentials that keep campers comfortable and properly rested between adventures. So which type of RV suits your needs? Both motorhomes and towable RVs come in a variety of styles, shapes, sizes and classes, each with their own benefits and faults. It’s up to you to decide which vehicle will become your new companion for your countrywide excursion. 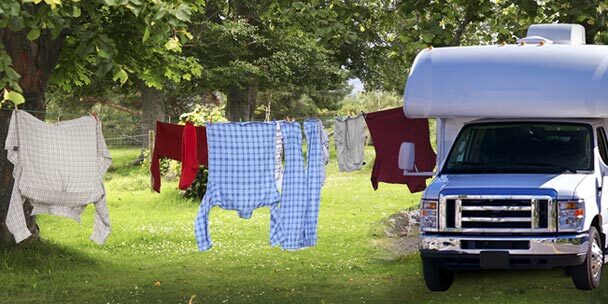 With motorhomes and RVs, it would probably be a good idea to know the different types. Not everyone wants to get the largest one available, nor the smallest. It is also important to know the difference between the types of RVs. I’m glad that you listed each of them along with the pros and cons with each. This will surely help someone out a lot if they are deciding on buying one. Finally! A comprehensive view. I want a B! Just me, husband and a Maltese! Seems maneuverable. Now to shop! I agree that it can be overwhelming to find a motorhome or camp trailer that works best for you and your family amidst the many options. I appreciate the explanations you’ve given for each type in this article. I would add that there are also ways to add canvas coverings to your vehicle or trailer that can make it camp-worthy. It’s worth researching those options and companies that can outfit your trailer if you are looking for something different. I had no idea that there were so many different classes of RV’s and that they were each so different. Because motor homes are so versatile and can be driven all across the country it would be important to make sure that you are comfortable in the one that you choose. I think that it would be a good idea to check out each class of RV before buying one to make sure that it is exactly what you are looking for. I have been interested for years in owning my own motor home. Only till now I have started study of this fascinating subject. What a wonderful way to live for many now and who are yet to …. GET IT !! How about a slide-in truck camper? Perhaps someday the aftermarket warranty companies will publish frequency of repair(s) statistics so another CON of owning ANY rv can be understood. It seems that upwards of 90% of rev’s of ANY type leave the factory with more than 5 defects each. Sad but true. thank you for that; I’m looking for an RV, my daughter and I are not anywhere near mechanical, my husband is not interested…so maintenance is a factor of consideration. My neighbor is an expert in RV, owned several Class A’s over his life, and said the same thing you did…he advocates buying used, where someone has worked out the kinks…he does that, and then he perfects it. Whoever buys his used one is getting a great RV…but is way too big for us to drive. Thank you for the excellent summary! You’ve saved me a lot of stress and now I know what type of vehicle I want to purchase for my family. what about the A shaped trailer camper? throwing in the towel and have decided to buy an RV to hit the road. I’ve worked with my hands all my life so I hope picking up some handyman type work along the way might be helpful for continued income as I’m not 65 just yet and she has a few more years to go. Not the life we envisioned for our so called golden years but keeping a positive outlook and in reality, kind of excited about the journey. This is long term for us since the now throw away society is discarding us so, we aren’t not looking back. Time to roll the dice. Any advice or help for this type of scenario is much appreciated as every dime counts and, we only get one shot to do it right. Our focus is on a used class A, as I’m a big man height wise. Please, no sales pitch’s, trolls or jackasses, we have enough on our plate to deal with. Just need advise from seasoned good people whom live this life, enjoy it, or make the best of it. Sorry for your misfortune but way to turn it into a positive! I am in the military and have full-time rv’d off and on for years. It kind of helps with transferring every two to three years. When I retire in a few more years I hope to full time it again but in a class A instead of a fifth wheel. When buying I think you should shop around and do your hw. Find the model you want and then search for the cheapest price while considering age, miles, etc. I think most will have low miles (I’d say under 75K). I would ask for maintenance records on the drivetrain! That’s the biggest thing and age of the tires. Tires typically only are designed to last ten years at most for RVs. Progressive is pretty reasonable in my experience with rv insurance. There are other options if you aren’t moving it often that can reduce cost of insurance. I want a diesel because those engines are located in the rear (called pushers), and will significantly reduce noise while driving which is good since my wife tells me I’m half deaf! =) Also, I will tow a vehicle behind to explore each area I camp at. RV parks typically give a much cheaper monthly rate when compared to their daily rate so it’s nice to get out and see things and not have to move the huge RV. So diesels are better too because of their torque, especially on big inclines, and they get better mileage. Diesels last much longer too in case you plan on keeping it a while. The biggest draw back is their additional purchase cost. For warranty companies I would go on BBB and see which ones have the best reviews. Most RVs only come with a one year factory warranty, Jayco has a two year. I had to make several repairs to my fifth wheel over the 15 years I owned it. It was worth it though cause I lived in it, then my mom lived in it for 2-3 years before selling. I researched and did most of my own repairs. You may not have that option depending on skills, physical ability, etc. Diesels do cost more, so that is something to think about. I would prefer to buy something used, not too old (5 years max), to offset the cost of a diesel. Oh yeah, look for the fiberglass roofs as opposed to rubber or TPO. Fiberglass lasts longer, and thicker is better. I’m not an expert but I hope my little bit of info helps. What part of the world are you in? I’m in East Texas and my roofing company usually has need of a good handy man that can do interior drywall repairs, along with some paint and exterior soffit and fascia repairs, and as long as you’ve got an attitude to make customers happy and an eye for high quality(most of our customers are high end) then I see age and experience as a bonus. Speed is not our priority and there are plenty or RV parks around. That is amazing of you to offer someone who is later in their years work. I am not young but not old either. Just turned 41, been working in Afghanistan as a contractor for 10 years now. I have been working in a war zone for about 16+ years and I rarely come home. About once every 15 months. SO I can understand when people talk about not finding viable work in the United States. As I would NOT be working over here so long if I could find a well paying job, for the my skill set. Anyway, my point is, there needs to be more people/companies like yours. Where it does not boil down to how quickly someone can churn out work at the sacrifice of quality… Too many companies would rather do subpar work, and get an extra job done. All while “patching” the issues customers find. I am happy to help out with any questions you may have. My husband and I have just spent close to seven years travelling Australia in a large A class motor-home. 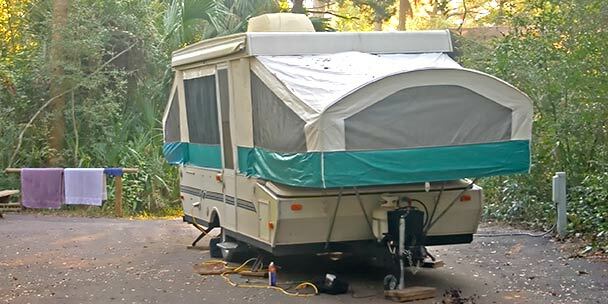 We purchased it new and we modified/added a few extras a s we were living in it full time and where possible free camping as many caravan parks tend to price gauge on larger vehicles. We have an Isuzu NQR450/Winnebago Longreach and we have found the vehicle and servicing agents excellent. Prices can be a little more expensive for servicing and tyres, etc but we have found by having a good maintenance plan you reduce overall costs as things last longer. We have had to replace one tyre in all that time and we have driven 80,000 km. The other tyres show very little wear and they are all original. One thing you should consider is having good sized fresh, grey and black water capacities (we used cartridges with no chemicals so they could be emptied in any toilet or sullage points), Also good solar panels and battery storage gives you the ability to free camp as well. As we travelled over many dirt roads and due to the constant load on the suspension of the truck we did upgrade our suspension quite early on. 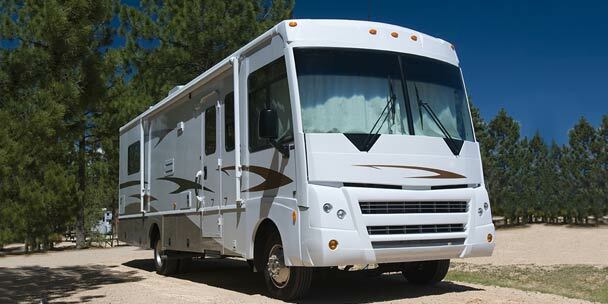 Most motor-home designers pay for the basic suspension when they purchase the chassis from the truck companies. They do not take into consideration that a normal truck is not fully loaded at all times, as loads are continually being placed on, then taken off them. So the stronger suspension was a godsend. Our set up also included a full sized washing machine, extra large pantry (use Tupperware or similar containers for your foods so no spillage when on roads) and kitchen, separate bathroom, air-conditioning and diesel heater; so we were very comfortable! Many of these appliances are high drawers of power so therefore you would need to be plugged into 240 v power or run your generator when using them or you would destroy your batteries in a very short time. If you can purchase a second hand vehicle make sure it is checked by a reliable mechanic, our motoring groups offer this service for a fee. We (my husband and I) have loved our vehicle and are about to sell it and will loose about 1/3rd of the original price due to motor vehicles not holding their price so this is a massive saving to the purchaser. Good luck and enjoy it is a great life and you will meet many exceptional people. BTW in all our travels though our vehicle was a long wheel base we only found one location we couldn’t get into, we walked or road push bikes and didn’t have the need for a small car. However some driveways i.e. fuel garages we had to take at an angle so we didn’t bottom out due us being longer. If you look at the road you will be able to see if this is a problem as there will be gauges in the tar where others have done it before you. Exactly! Why no truck campers? I am deciding either B or TC and unfortunately there’s a missing type of RV on this article!! Thanks for the info! Well written and researched. I did my research! I got a class B, Chevy engine, voltec 10….fully loaded used perfect condition! couch, dinette, bathroom, kitchen, all emenities!!! just beautiul to drive up and park! that easy! that nice. downside….Thousand Trails! hundreds of mi. apart! 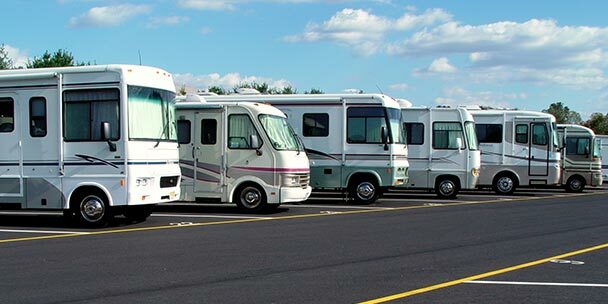 What is a good affordable RV membership club? 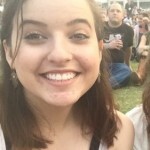 Looks like lots of experienced RV’ers here…would appreciate advice. My daughter  her four young children, and I  plan to take lots of short trips. I am concerned we cannot handle a larger Class A or C, so looking at the B class..We will not be spending the night in the RV, but in a hotel, so basically looking for comfort driving, so that each of the four kids have a space to spread out. As it is in our Yukon, they are cramped…Are there any recommendations in a Class B? I have looked at the Pleasureway, and is very expensive; looked at a Winnebago…Don’t know what to do. We do not need a bed in the back, as we will not be sleeping in it…Advice? I would not recommend any type of Rv for your situation. The poor fuel milege and driving dynamics of these units would not offset the minor comfort gain to the children. You want excitment in your life? Drive any type RV down I680 in CA in a 25-35 mph crosswind. Guaranteed white knuckles. I personally would look for a different passenger vehicle other than the Yukon. Have you looked at the new Ford Flex? Plenty of room for 6 when configured with the 6 passenger seating option. A Ford Transit Van or Mercedes van are other options to consider. With these vehicles you will travel comfortably, they much easier to drive and manuver, and will get you at least twice the mpg of an RV. You can take more trips with the kids! Good luck with whatever choice you eventually make. Look at RoadTreks. We used one for just what you are describing and found it was perfect.